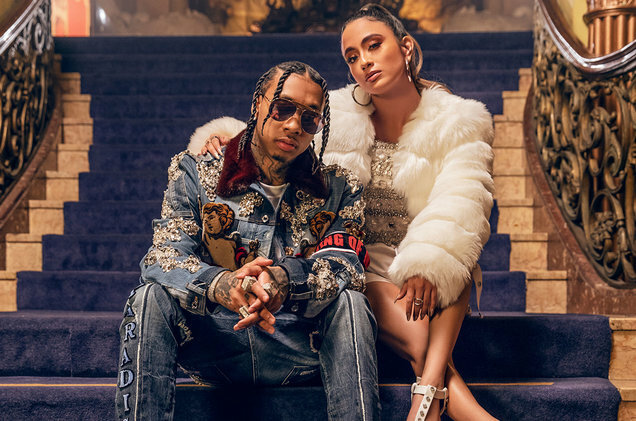 Ally Brooke debuted her first official single and video as a solo artist, “Low Key” featuring Tyga, today (Jan. 31). “Low Key” is a mid-tempo, R&B-tinged track. “I see you looking at my body very closely/ But there’s a lot of things about me that you don’t see/ You know we could take it fast or take it slowly/ We could fly out to Ibiza and get cozy,” the 25-year-old sings. The accompanying video features sultry shots of Brooke in a lavish dance studio as she attempts to hide a “low key” relationship with a dance partner who she says is “just a friend” at the beginning of the video. The video also features a slew of fabulous looks from the San Antonio, T.X. native, including a sparkly white, skintight minidress that she shows off while walking down the grand steps of the gold-hued mansion, arm-in-arm with said “friend” and dance partner. Brooke spent this week teasing the song to her fans, sending over 100 personalized messages to her most dedicated supporters. In a statement, she said she was looking forward to showing the world who she really is with her upcoming new project. “People never really got to see to the true me. Now just being able to have my own freedom of being an artist is the most incredible feeling in the world,” she stated. Check out the video for “Low Key” below.